Idaho Gov. 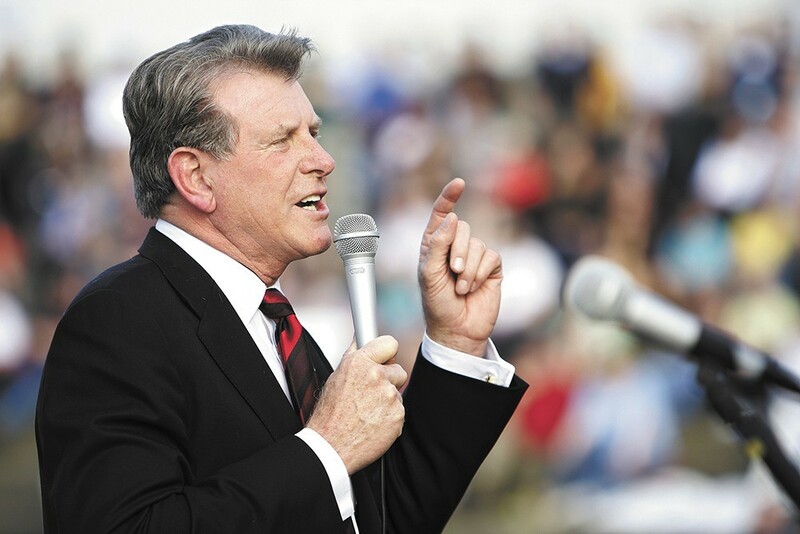 Butch Otter wants to spend on students and public defenders. Last year, two Inlander cover stories tackled serious deficits in the state of Idaho. One looked at its educational system, noting the rock-bottom numbers of Idaho students who went onto college. The other examined Idaho's overburdened, undertrained public defenders, drowning in caseloads. In his STATE OF THE STATE speech on Monday, Governor Butch Otter promised to direct considerable amounts of funding to fixing both problems. "We made promises during the Great Recession that we are duty-bound to fulfill," Otter said. "And now, we have the financial means." That means a budget that includes $10.7 million to pay for interventions with young students struggling with reading, $38 million to improve teacher pay, $1.1 million in mastery-education training, $5 million to train new teachers, and almost $30 million more in district-operation funding. To get more kids to college, Otter recommends $5 million specifically for career and college funding, a $5 million increase in Opportunity Scholarships, and another $5 million for a "Completion Scholarship," aimed at adults who dropped out of college but want to return. The Spokane City Council voted 6-1 on Monday to approve a long-sought-after ordinance that requires most employers in city limits to offer PAID TIME OFF to their employees dealing with illness or domestic violence. The vote, which came after a marathon meeting that lasted five hours, was a victory for Council President Ben Stuckart and his progressive allies, who have been working on the ordinance since last year. Over the summer, it was derailed due to divisions in the council's dominant liberal bloc. The week before the vote, Mayor David Condon sent a letter to council expressing concerns that the ordinance would be burdensome to business, could conflict with existing labor laws and would be costly and complicated to enforce. However, the ordinance was passed with a veto-proof margin, leaving the mayor with little recourse. A simple move of the SPOKANE POLICE DOWNTOWN PRECINCT and mysterious investigation into a veteran police captain's suspension has caused the city council and members of the public to question decisions of police leadership and city administrators. In October, Interim Chief Rick Dobrow said the downtown precinct's move six blocks east from the Peyton Building near the STA Plaza to the Intermodal Center would save money. Somewhat surprised by the move, councilmembers are now asking Dobrow and other city administrators to prove it. Council President Ben Stuckart and Councilman Mike Fagan submitted a list of seven questions asking for a "detailed cost benefit analysis in 'hard numbers' showing real savings achieved by this move," among other things. The move confused councilmembers for a number of reasons. For one, the Downtown Spokane Partnership was taking care of rent at the Peyton Building and STA was kicking in nearly $90,000 for a full-time patrol officer. For another, when the council approved more than $100,000 to renovate the Intermodal Center, they were told by former Chief Frank Straub that it would be an additional downtown precinct, not a replacement. "I feel like whoever made the decision to move the precinct was not fully aware that STA was paying for one of those officers," says Councilwoman Amber Waldref, who also sits on the STA Board. She adds that although the board included money for an SPD officer in its 2016 budget, an agreement to actually fund that position has not been re-established since the move.